Paul Forster’s practice focuses on energy law, with an emphasis on natural resources litigation and commercial litigation. He regularly advocates for the firm’s energy clients before North Dakota’s state and federal courts. Representative matters include civil jury trials and bench trials in both state and federal court; complex civil litigation involving the energy industry, including defense of class actions; condemnations and surface damage disputes; and appellate work. 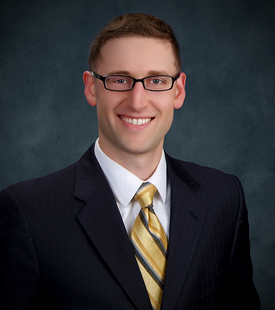 A native of Bismarck, North Dakota, Paul is a Partner in Crowley Fleck’s Bismarck office. Before joining the firm, Paul completed a clerkship for the Honorable Morton Denlow, U.S. District Court for the Northern District of Illinois, and also worked as a litigation associate in the Chicago office of a leading corporate law firm. Paul graduated top in his class from Chicago-Kent College of Law in 2010. He attended college at Gonzaga University in Spokane, Washington, where he earned degrees in mathematics and history.